There's so much to celebrate! Welcome, welcome! 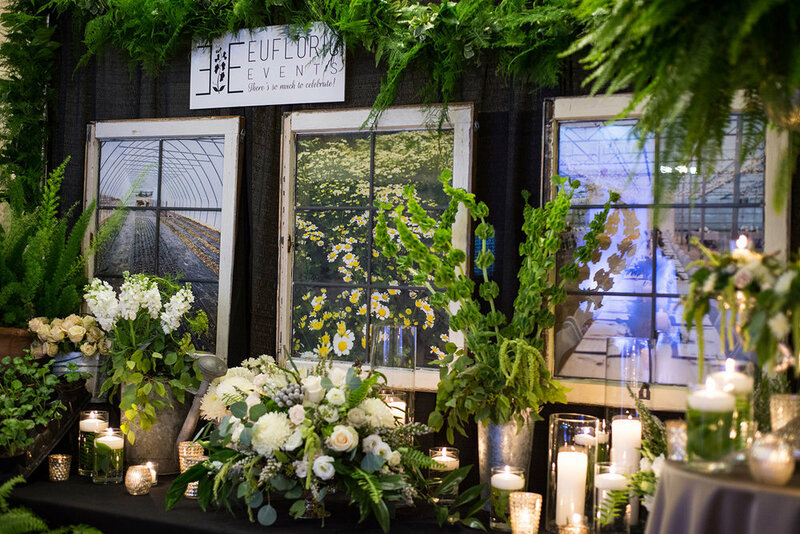 We are so excited to announce the launch of Eufloric Events, central Indiana's newest wedding and event floral design firm! 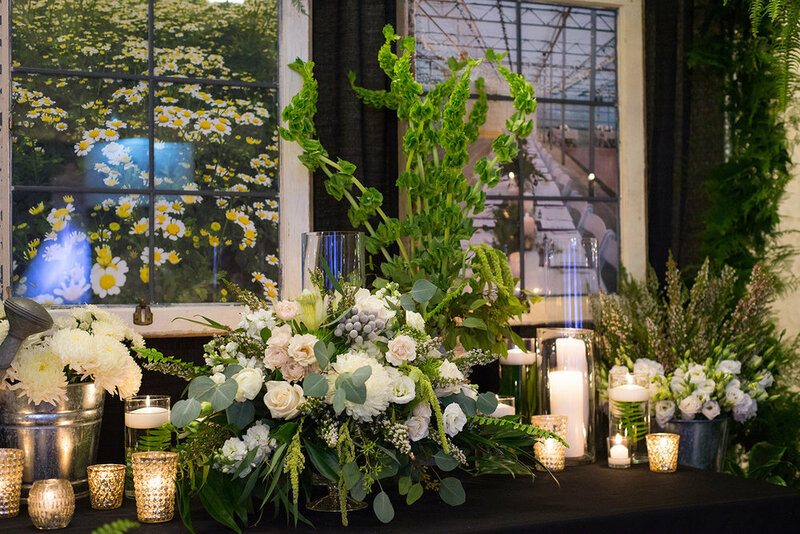 From showers and photo shoots to bouquets, weddings and large scale corporate events, Eufloric Events' guiding philosophy is "There's so much to celebrate!" We have come together, three talented and professional designers, to share our knowledge, experience, art, hearts, and flowers with you. 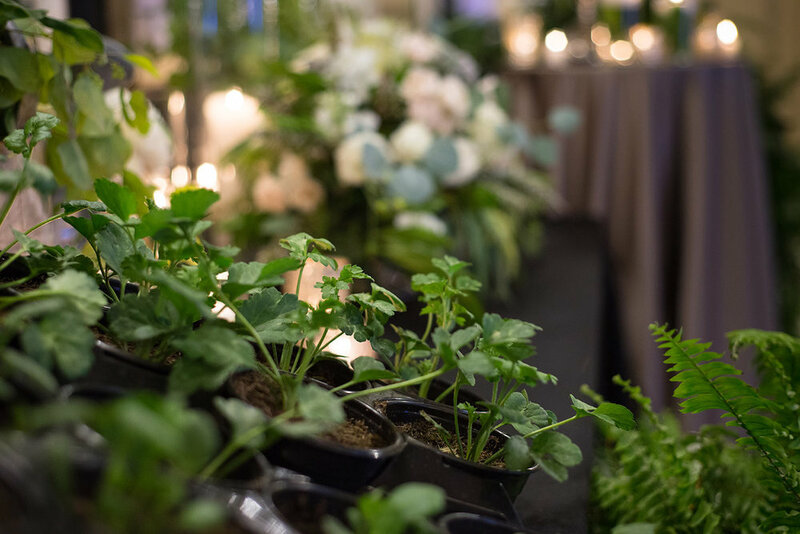 Sweet Peas Flower Farm grows a wide range of flowers right here in the central Indiana soil and we can't wait to incorporate these locally grown flowers fresh cut from the field into designs for your next event. 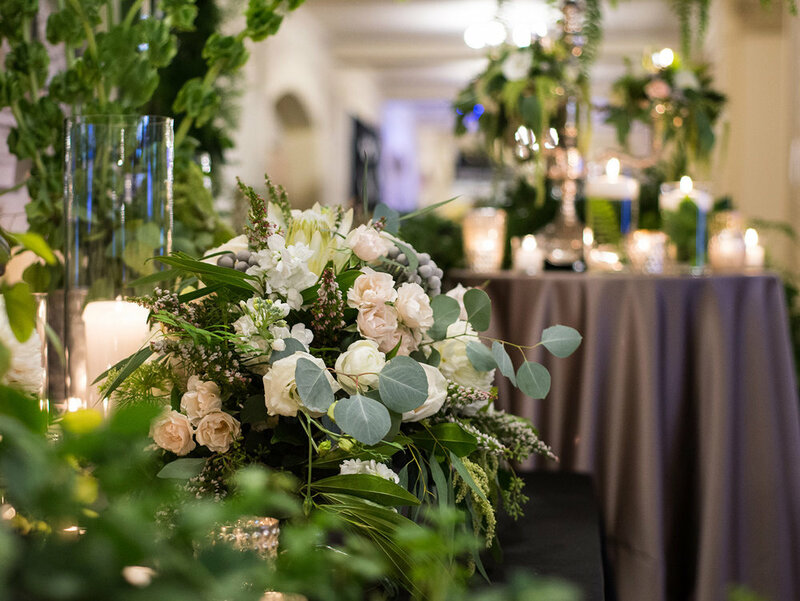 Over the past weekend, we debuted our brand new company at the Perfect Wedding Guide Bridal Show at the Scottish Rite Cathedral. It was so exciting to create a vignette that exhibited so many of our strengths as a trio and tell a visual story of our purpose and process. It was so thrilling to meet engaged couples; the excitement so many were showing is energizing. We can't wait to begin our consultations and get to work! We also really enjoyed meeting many vendors and reconnecting with several we haven't seen in a while. What a great opportunity! The images below help to describe what we brought to the show to help tell our story. Eileen, Cecily, and Paula are ready to chat about your next event. Send us an email to schedule your complimentary consultation. "There's so much to celebrate!" Thank you for spending a few minutes with us here!